You may not be able to afford Cindy Crawford’s former baby nurse, but you can still benefit from her advice. 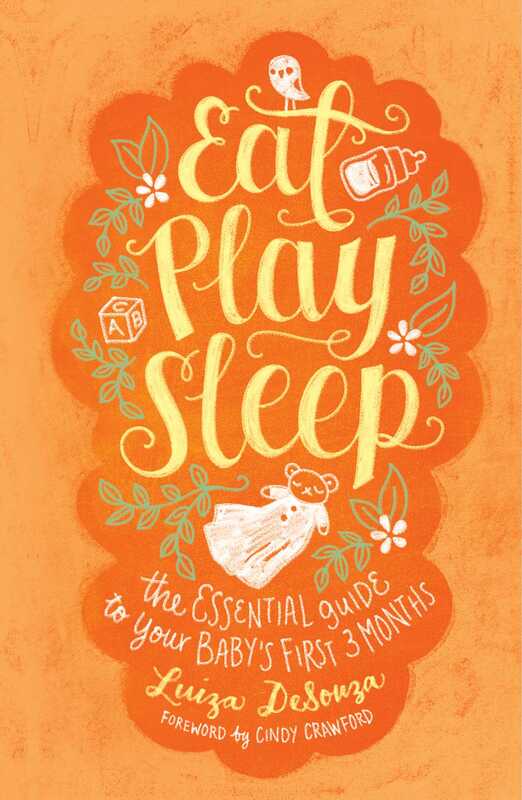 Luiza DeSouza began writing “Eat Play Sleep: The Essential Guide to Your Baby’s First 3 Months” (Atria) after parents and nannies told her how much they liked the detailed baby journals she handed off to them when she left to care for a new baby. The information about the children’s routines was really helpful, her readers said; maybe she should write a baby care manual. Over the course of years, the manual morphed into a book with everything from a list of what to pack for your trip to the hospital to tips on how to establish sleeping routines, and feeding and bathing basics; the book also includes real-life stories drawn from decades of experience. DeSouza has strong feelings about the importance of introducing very simple and flexible routines, interacting with your baby consistently and meaningfully, and avoiding bad habits rather than trying to break them. In the first days, she tries to make sure that babies eat enough at each feeding, which allows them to get proper nutrition and sleep longer. When babies can stay awake longer — often in the second week — she brings a little play into the routine, in the form of cuddling, massage and bathing. She also phases in a sleep routine that includes burping, swaddling, holding the baby upright to aid digestion, and putting her down in her crib while she’s still awake. But DeSouza doesn’t put infants on schedules, and she’s big on using common sense and responding to each child’s unique situation and temperament. •Do wake up a breast-feeding newborn every three hours in the first few days, and a formula-fed newborn every 3 1/2 hours. He needs to eat frequently. Do wake a newborn who falls asleep before he’s taken in enough milk or formula; you don’t want him to become a “snacker” who wakes every 30 minutes. Don’t get nervous when your newborn cries; you’ll make her nervous too. Instead, try feeding her, talking to her and observing what triggers fussing. Do make sure your newborn gets enough sleep. Parents tend to keep newborns up because everyone wants to hold and rock them, but an overtired baby is a fussy baby. Don’t let sick friends and relatives visit your newborn until they’ve recovered. Her immune system isn’t fully developed yet, and she could get sick. Do start to establish a flexible routine (not a rigid schedule) in the first month. Once your baby is staying up for a while after feeding, spend some time interacting. Do repeat the eat-play-sleep routine throughout the day; maybe every three hours or so. Don’t let your baby get into the habit of falling asleep in your arms. If she begins to fuss when you put her in the crib, don’t “rescue” her immediately. If she actually cries, try to calm her in the crib before picking her up or giving her a pacifier. Stay calm, hold her if necessary until she calms down, and try putting her down again. Do consider a pacifier. There are different views on the topic, and DeSouza honors the wishes of her clients, but she finds pacifiers soothe babies, and the habit is easier to break than thumb-sucking. DeSouza typically introduces the pacifier in the second week, once breast-feeding is going well. Don’t lose your perspective. If your infant is having trouble with sleeping, breastfeeding or indigestion, it’s not going to last forever. This entry was posted in "Eat, Play, Sleep" by Luiza DeSouza.